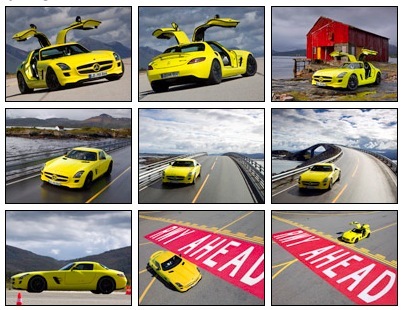 2011 Mercedes-Benz SLS AMG E-Cell | Sports Cars - No limits! by Sports Cars – No limits! Mercedes-AMG is accepting the challenges of motoring of the future: the SLS AMG E-CELL is evidence of the state-of-the-art development of an exciting super sports car featuring a zero-emission high-tech drive. Boasting a power output of 392 kW and 880 Nm of torque, the technology vehicle from AMG is able to offer exceptional performance. The gullwing with electric drive is part of the company strategy entitled “AMG Performance 2015″ which aims to continually reduce fuel consumption and emissions.